Recommended for pools up to 15 metres in length. 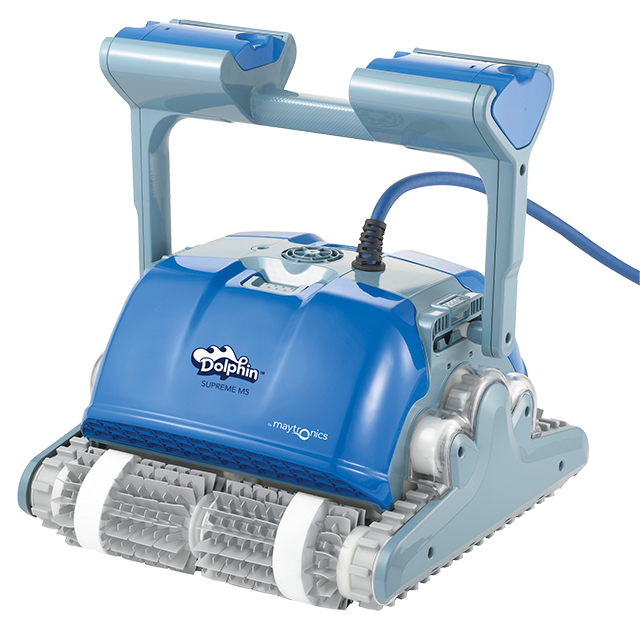 Dolphin Supreme's unique innovative features take all the hard work out of pool cleaning, while providing reliable cleaning results every time. Step-up to a new experience with this wall-climbing robotic pool cleaner, recommended for pools up to 15m. in length. The cost-effective way to ensure entire pool cleaning, including the fllor, walls, and waterline. Self contained cartridges collect dirt and debris. DIY - easy maintenance. Intelligent, self-adjusting software ensures optimised coverage. Dual-level filtration system efficiently cleans in any pool condition.